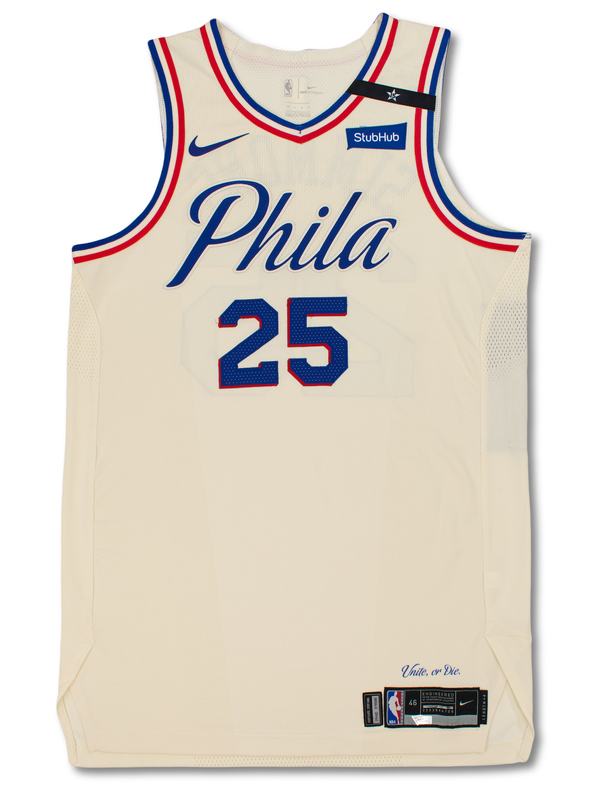 Presented is a Philadelphia 76ers home jersey that was worn by the NBA's Rookie of the Year Ben Simmons. The jersey is authenticated to the final home game of the NBA season on April 11th 2018 in a contest versus the Milwaukee Bucks where Simmons had 4 points, 6 rebounds and 7 assists as the starters were rested for the upcoming playoff run. 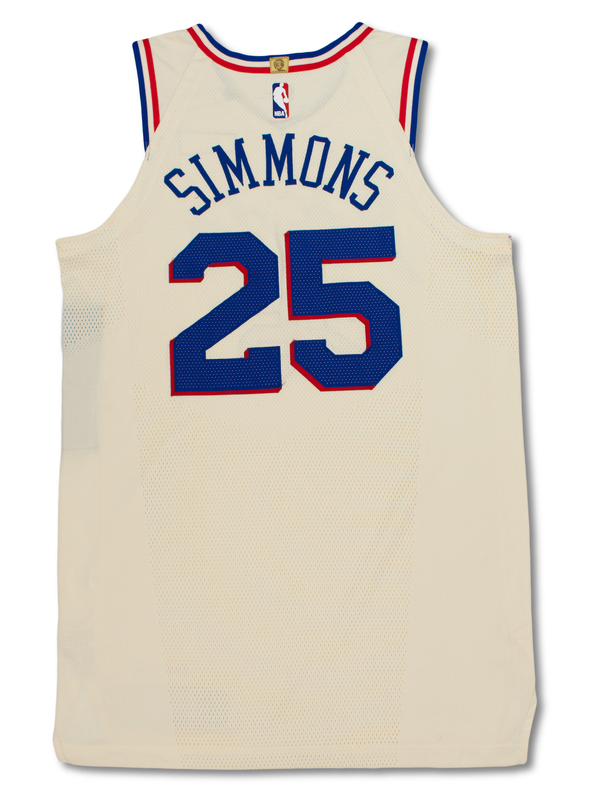 The jersey also photo matches to a stat filled contest versus the Brooklyn Nets on April 3rd, 2018 where Simmons had 15 points, 12 rebounds and 6 assists. The jersey shows excellent game use for a modern era jersey with loose threads throughout. 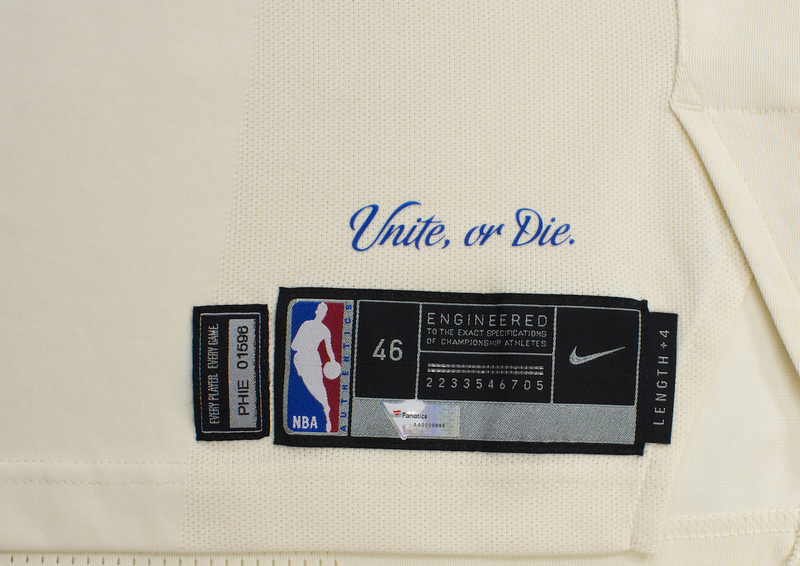 The size 46 jersey has a Fanatics hologram affixed to the Nike manufacturer's tag that reads "AA0030095". 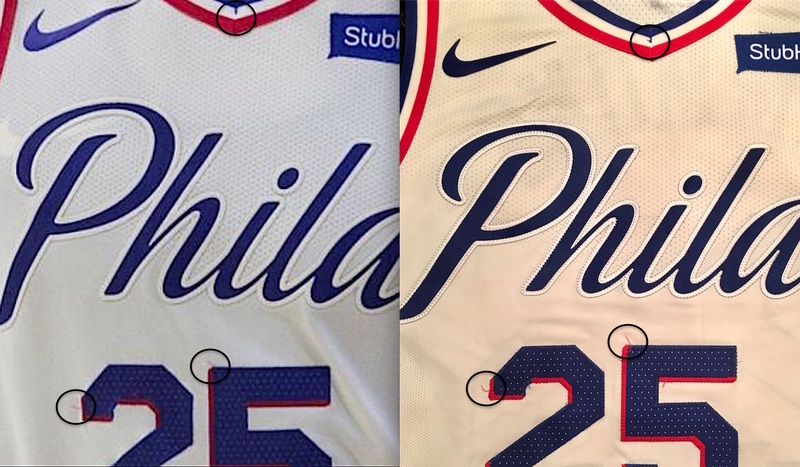 The "25" star black memorial armband on the shoulder was added after the above mentioned games as this jersey was prepared for the upcoming playoff run where the armbands were worn by all of the 76ers players.